Christian is the President/Owner at SERVPRO of Boise. He has over 20 years of experience in the restoration industry and has the following certifications from the Inspection Cleaning and Restoration Certification (IICRC): Water Damage Restoration, Fire & Smoke Restoration, Applied Structural Drying and Commercial Drying Specialist. Allie Isaacson is the Chief Financial Officer at SERVPRO of Boise. She has the following certifications from the Institute of Inspection Cleaning and Restoration Certification (IICRC): Water Damage Restoration. Although she spent some time in the Nashville area with her husband; she grew up in Idaho and is a graduate of Boise State University. Allie is extremely happy to be back in Idaho helping her husband with their growing business. Winder is the General Manager at SERVPRO of Boise. He joined SERVPRO in March, 2013 as the Sales and Marketing Manager and was promoted to General Manager in 2016. Winder has several year of experience and has the following certifications from the Institute of Inspection Cleaning and Restoration Certification (IICRC): Water Damage Restoration, Fire & Smoke Restoration, Commercial Drying Specialist and has completed ECTP-SERVPRO’s Employment Certification Training Program. In his spare time, he enjoys spending time with his dog Timber, skiing and golfing. Beth is our Operations Manager at SERVPRO of Boise. 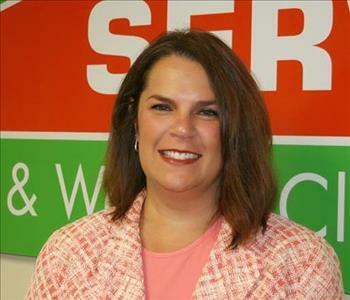 She joined the SERVPRO team in May, 2013 and has been promoted several times! Beth has the following certifications from the Institute of Inspection Cleaning and Restoration Certification (IICRC): Water Damage Restoration, Applied Structural Drying and has completed ECTP-SERVPRO’s Employment Certification Training Program. In her spare time she loves attending the Boise Philharmonic, running on the greenbelt with her dog Lilly and spending time with her nieces and nephews. 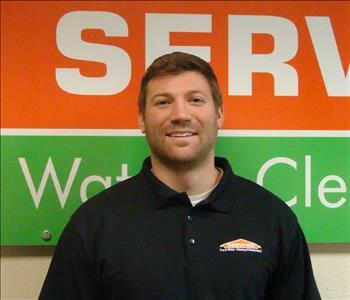 Ryan is our Field Operations Manager at SERVPRO of Boise. 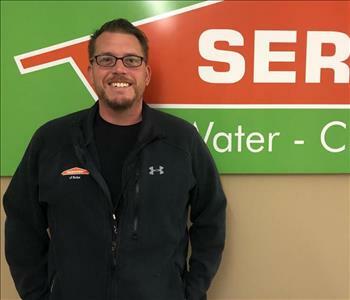 He joined the SERVPRO team in August 2018. Ryan has 12 years of experience in the dairy service and maintenance industry, where he also held the position of Service Manager for five years. He is skilled and experienced in electrical, HVAC, pneumatics and 24-hour emergency service. Ryan has over six years of experience in home demolition and remodeling. He is proud to be a part of the team and enjoys spending time with his family, hunting, fishing and golfing outside of SERVPRO. Amber is the Office Manager at SERVPRO of Boise. She joined the SERVPRO of Boise team in December, 2015 as an Administrative Assistant, and was promoted to Office Manager in 2018. Amber has the following certifications from the Institute of Inspection Cleaning and Restoration Certification (IICRC): Water Damage Restoration, Xactimate Level 2 and has completed ECTP-SERVPRO’s Employment Certification Training Program. She ensures all our job files are processed quickly and accurately. Outside of SERVPRO she loves spending time with her family, going to concerts, swimming, and baking. Kelly is the Sales and Marketing Manager at SERVPRO of Boise. She has several years of experience and has the following certifications from the Institute of Inspection Cleaning and Restoration Certification (IICRC): Water Damage Restoration and has completed ECTP-SERVPRO’s Employment Certification Training Program. Kelly is the President of the Boise Adjuster’s Association and President of a Boise Chamber TIPS group. With a 20 year background in sales and customer service, she leads a successful and energetic team of three marketing representatives to be the Treasure Valley’s premier full-service restoration company. Outside of SERVPRO she enjoys spending time with her family at the hockey rink or baseball field. Andrew is one of our Production Managers at SERVPRO of Boise. He has been with SERVPRO since November, 2015 and is originally from California. Andrew has several years of experience in the restoration industry and has the following certification from the Institute of Inspection Cleaning and Restoration Certification (IICRC): Water Damage Restoration. He also has his Xactimate Level 2, OSHA 10 certifications and has completed ECTP-SERVPRO’s Employment Certification Training Program. Outside of SERVPRO Andrew enjoys spending time with his family and friends, and one day hopes to fish in every state in the U.S.
Layton is one of our Production Managers at SERVPRO of Boise. He has been with SERVPRO since January, 2017 and is originally from Elko Nevada. Layton's family owns a restoration company in his hometown, so he has grown up enjoying helping people when disaster strikes! He has several years of experience and has the following certification from the Institute of Inspection Cleaning and Restoration Certification (IICRC): Water Damage Restoration and has completed ECTP-SERVPRO’s Employment Certification Training Program. Layton enjoys biking and spending time in the outdoors. Eric is our Director of Construction Services at SERVPRO of Boise. He joined the SERVPRO team in August, 2015. Eric has been in the industry since 2003 and is an Idaho native. He has several years of experience and the following certifications from the Institute of Inspection Cleaning and Restoration Certification (IICRC): Water Damage Restoration, Fire & Smoke Restoration and has completed ECTP-SERVPRO’s Employment Certification Training Program. Eric is also EPA Lead Certified and a HAAG Certified Roof Inspector. Lucas is one of our Construction Estimators at SERVPRO of Boise. He joined the SERVPRO team in August, 2015 and has been in the industry since 2002. Lucas has completed ECTP-SERVPRO’s Employment Certification Training Program. He has several years of experience within the industry and enjoys fishing, hunting, and spending time with his growing family outside of SERVPRO. Ashley is one of our Construction Estimators at SERVPRO of Boise. She joined the SERVPRO team in April, 2017. Ashley comes to us with 12 years of combined commercial construction and insurance industry experience. She is also EPA Lead Certified and has completed ECTP-SERVPRO’s Employment Certification Training Program. Ashley is happily married and enjoys spending time with her children. She also enjoys camping, playing games, and watching movies. Ashley has lived throughout much of the Northwest, but has called Boise home for many years. Will is one of our Superintendents at SERVPRO of Boise. He joined the SERVPRO team in April, 2017. Will has worked in the restoration industry for 32 years. He is a certified renovator from the University of Arkansas and has completed ECTP-SERVPRO’s Employment Certification Training Program. Will feels rewarded in helping families return to their homes after damages occur. He loves knowing that he is able to be a small part of a families homecoming. Will has four things that fill his life and make him happy: God, family, Razorbacks and work. Greg is one of our Superintendents at SERVPRO of Boise. He joined the SERVPRO team in May, 2018 and has completed ECTP-SERVPRO’s Employment Certification Training Program. Greg has worked in the construction industry for over 18 years. During the early 2000 house boom he was a finish carpenter, he got out of that business in 2007 and got back into construction in 2016. During his time away from construction he managed crews in the oil field industry in North Dakota and Saudi Arabia. Greg enjoys hunting, fishing and outdoor activities. He also enjoys spending time with his wife and children. Luke is one of our Superintendents at SERVPRO of Boise, and joined our team in August, 2016. He has over 12 years of risk management experience, including time in insurance, real estate management and the restoration industry. Luke has the following certifications from the Institute of Inspection Cleaning and Restoration Certification (IICRC): Water Damage Restoration, and has completed ECTP-SERVPRO’s Employment Certification Training Program. He specializes in commercial building services and has a passion for helping owners prepare for and recover from the unexpected. He also serves as a "Girl Scout Dad" for his daughters troop. When not working, Luke enjoys getting family and friends together in the endless pursuit of the perfect BBQ recipe. Chris is a Construction Superintendent at SERVPRO of Boise. 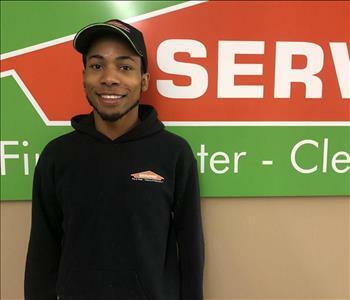 He joined the SERVPRO team in December, 2018 and has completed ECTP-SERVPRO’s Employment Certification Training Program. Chris is originally from Los Angeles, California and grew up in the San Fernando Valley. Chris came to SERVPRO of Boise from another large, corporate restoration company. Prior to that, he owned a local maintenance and restoration company that he opened in 2012. In his free time, Chris enjoys visiting natural hot springs, camping and writing. Chris joined the SERVPRO team because of the focus on customer service, freedom of mobility and positive, team-like work environment. Daniel is our Carpenter/Foreman at SERVPRO of Boise. He joined the SERVPRO team in August, 2016 and has completed ECTP-SERVPRO’s Employment Certification Training Program. He is originally from Guadalajara, and is skilled in all aspects of construction work. 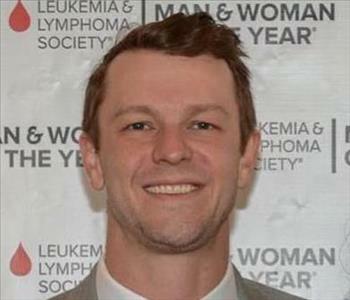 Daniel enjoys mountain biking, playing with his children and spending quality time with his family. Debbie is our Construction Office Manager at SERVPRO of Boise, she has been with SERVPRO since January, 2018 and has completed ECTP-SERVPRO’s Employment Certification Training Program. She was born and raised in Idaho. After marrying her husband Mark, they moved to Utah, Illinois, California and New Mexico due to his job. While in New Mexico she worked for the city of Deming as an Economic Development and Special Events Coordinator for 9 years. When she moved back to Idaho she began working in the restoration industry with her family. She has worked in restoration for 8 years in various positions, but mostly in the office as an administrative assistant. When Debbie is not working; she enjoys camping, hiking, selling items on Ebay, making natural body products and treasure hunting at yard sales, estate sales and thrift stores. However, she mostly enjoys spending time with her family and playing with her grand kids. Kelsey is the Construction Coordinator at SERVPRO of Boise. Before she joined our team in August 2018, she was the Director of Development at SERVPRO of Tri Cities West in Washington State. Kelsey recently completed her Business Administration degree and has a background in sales, marketing, event coordination and fundraising. Kelsey has completed ECTP-SERVPRO’s Employment Certification Training Program and loves country music, hiking and camping in her free time. Kaitlin is the Marketing Support Coordinator at SERVPRO of Boise, and joined our team in July, 2017 as a Sales & Marketing Representative. Kaitlin has completed ECTP-SERVPRO’s Employment Certification Training Program. She is a native of the Boise area, and recently married her high school sweetheart. Kaitlin has a background in marketing, sales and event planning and graduated from Boise State University. She is also very active in the community; being involved with both the Eagle and Meridian Chambers of Commerce, IREM, and the Boise Young Professionals. In her spare time, Kaitlin enjoys attending country concerts, traveling, working out and spending time with her family and friends. Blaine is a Sales & Marketing Representative at SERVPRO of Boise, and joined our team in September, 2017. He has over 16 years of experience in the insurance industry and eight years of experience in the restoration industry. Blaine also has the following certifications from the Institute of Inspection Cleaning and Restoration Certification (IICRC): Water Damage Restoration, and has completed ECTP-SERVPRO’s Employment Certification Training Program. He is also very active in the community; being involved with the Kuna Chamber of Commerce as a board member, NARPM, IREM and the Idaho Apartment Association where he holds a position on the membership committee. When he is not performing his duties at SERVPRO, he enjoys spending time with his wife Estela, exploring the outdoors, working out and reading. Jordyn is a Sales & Marketing Representative at SERVPRO of Boise and joined our team in April, 2018. She attended Boise State University and has a background in marketing, sales, and project coordination. Jordyn has completed ECTP-SERVPRO’s Employment Certification Training Program. She is also very active in the community; being involved with the Star Chamber of Commerce, NARPM, and the Women's Council of Realtors. In her spare time, Jordyn enjoys volunteering, crossfit, traveling, and spending time with family and friends. Kati is a Job File Coordinator and Storm Team Coordinator at SERVPRO of Boise. Previously, she worked as the Fire and Contents Job Coordinator after being part of the Cleaning and Restoration Crew. She has over 11 years experience in management/ administration and graduated with a B.A. in Music Business and Vocal Performance from Central Washington University. Kati has the following certifications from the Institute of Inspection Cleaning and Restoration Certification (IICRC): Water Damage Restoration, and has completed ECTP-SERVPRO’s Employment Certification Training Program. She loves helping to make a difference in peoples' lives through SERVPRO. Haily is a Job File Coordinator at SERVPRO of Boise, she has been with SERVPRO since July, 2017. Before she joined SERVPRO, she worked in the emergency department at St. Luke's handling medication. Haily felt like she needed a change and found herself doing something she never would have expected, fire restoration. She began with SERVPRO working as a Fire Production Technician, cleaning contents. Haily has the following certifications from the Institute of Inspection Cleaning and Restoration Certification (IICRC): Water Damage Restoration, and has completed ECTP-SERVPRO’s Employment Certification Training Program. Outside of SERVPRO she enjoys barrel racing, and spending time with her son Wyatt. Jennah is a Job File Coordinator at SERVPRO of Boise, she has been with SERVPRO since April, 2018. Jennah has several years of residential and commercial cleaning experience; working for large corporations as well as being self-employed. She has also completed ECTP-SERVPRO’s Employment Certification Training Program. Outside of SERVPRO Jennah enjoys spending time with her loved ones, reading, writing, and being involved in the community. Jody Scamehorn is the Accounting Clerk at SERVPRO of Boise. 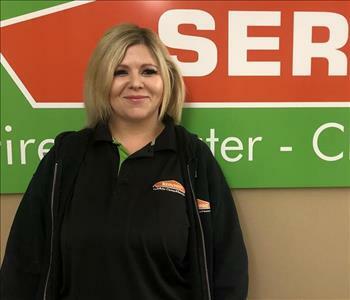 She joined the SERVPRO team in March, 2018. She has over 20 years experience in accounts receivable/ accounts payable and has completed ECTP-SERVPRO’s Employment Certification Training Program. Outside of SERVPRO she enjoys spending time with her family, cooking with her husband and walks along the greenbelt. Jacob is a Water Crew Chief at SERVPRO of Boise, he joined our team in August, 2016 as a Production Technician. He has several years of experience and has the following certifications from the Institute of Inspection Cleaning and Restoration Certification (IICRC): Water Damage Restoration, and has completed ECTP-SERVPRO’s Employment Certification Training Program. Jacob is originally from Twin Falls, ID and has been in the Boise area for a few years now. He is excited to expand his knowledge in the restoration industry and is eager to excel in his position! Leonard is a Water Crew Chief at SERVPRO of Boise. He has been with SERVPRO since January, 2018. Leonard has the following certifications from the Institute of Inspection Cleaning and Restoration Certification (IICRC): Water Damage Restoration, and has completed ECTP-SERVPRO’s Employment Certification Training Program. He is a veteran and very happy to be working in the restoration industry. 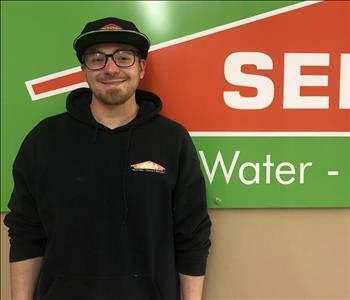 Travis is a Water Crew Chief at SERVPRO of Boise, he joined our team in December, 2018. He has multiple years of experience and has the following certifications from the Institute of Inspection Cleaning and Restoration Certification (IICRC): Water Damage Restoration, Applied Structural Drying and has completed ECTP-SERVPRO’s Employment Certification Training Program. Travis enjoys working in the restoration industry and is eager to work for the best company in the valley! Denver is a Water Crew Chief at SERVPRO of Boise. He has been with SERVPRO of Boise since October, 2018. Denver has successful granite, cabinet, flooring and structure removal experience. He also has experience in home renovation/ remodeling and has completed ECTP-SERVPRO’s Employment Certification Training Program. Outside of SERVPRO he enjoys spending time with his family outdoors and completing projects around his home. Nathan is a Water Production Technician at SERVPRO of Boise. He joined the team in December, 2016 and is originally from Texas. He has the following certifications from the Institute of Inspection Cleaning and Restoration Certification (IICRC): Water Damage Restoration, Fire & Smoke Restoration, and has completed ECTP-SERVPRO’s Employment Certification Training Program. Nathan has a background in security and has always enjoyed helping people. He spends his free time with his son, and loves a good game of air soft. Marcos is a Water Production Technician at SERVPRO of Boise. 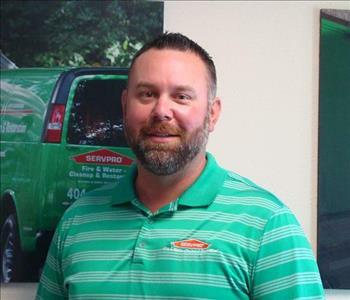 He joined the SERVPRO team in August, 2018. Marcos has multiple years of experience in the restoration industry and has completed ECTP-SERVPRO’s Employment Certification Training Program. In his spare time he enjoys photography, spending time with his family and building cars. Ethan is a Water Production Technician at SERVPRO of Boise. He joined the team in March, 2019 and is originally from Florence, Oregon. Ethan has completed ECTP-SERVPRO’s Employment Certification Training Program and looks forward to gaining more experience in this line of work. Previously, Ethan worked in retail but heard about the career potential with SERVPRO and the restoration industry as a whole. In his spare time, Ethan enjoys running with his dog, playing piano and photography. Richard is a Water Production Technician at SERVPRO of Boise. He joined the team in March, 2019 and is originally from Colorado/California. Richard has several years of experience in the restoration industry and has completed ECTP-SERVPRO's Employment Certification Training Program. Outside of SERVPRO, he enjoys fishing, camping and spending time with his family. We look forward to watching Richard grow and make this a lifelong profession. Rachel is a Fire Crew Chief at SERVPRO of Boise and specializes in pack-outs and content management. She is originally from Capetown South Africa, and is our resident fire contents and cleaning expert. Rachel has several years of experience and has the following certifications from the Institute of Inspection Cleaning and Restoration Certification (IICRC): Fire & Smoke Restoration, and has completed ECTP-SERVPRO’s Employment Certification Training Program. Outside of SERVPRO she enjoys hiking, blues and alt rock concerts, reading and hula hooping! Ricardo is a Fire Production Technician at SERVPRO of Boise. He has been with SERVPRO since April, 2018. His background in construction has proven to be very helpful in his current role. Beyond structure cleaning and restoration he also leads the moving team when major content restoration is necessary. He has the following certifications from the Institute of Inspection Cleaning and Restoration Certification (IICRC): Fire & Smoke Restoration, and has completed ECTP-SERVPRO’s Employment Certification Training Program. In his free time he likes to cook, fish, swim and enjoys the outdoors as much as possible. Kara is a Fire Production Technician at SERVPRO of Boise. She joined our team in March, 2019 and is originally from Virginia. Kara has completed ECTP-SERVPRO's Employment Certification Training Program and looks forward to gaining more experience in this line of work. Previously, Kara worked in hospitality, but enjoys helping people put the pieces back together after they have gone through a traumatic situation. In her spare time, Kara enjoys spending time with her children and grand baby, as well as going to the gym.